Traditional Irish Recipes On St. Patrick's Day: Cabbage Soup And Dingle Pie Irish cuisine has more to offer than just corned beef and cabbage. 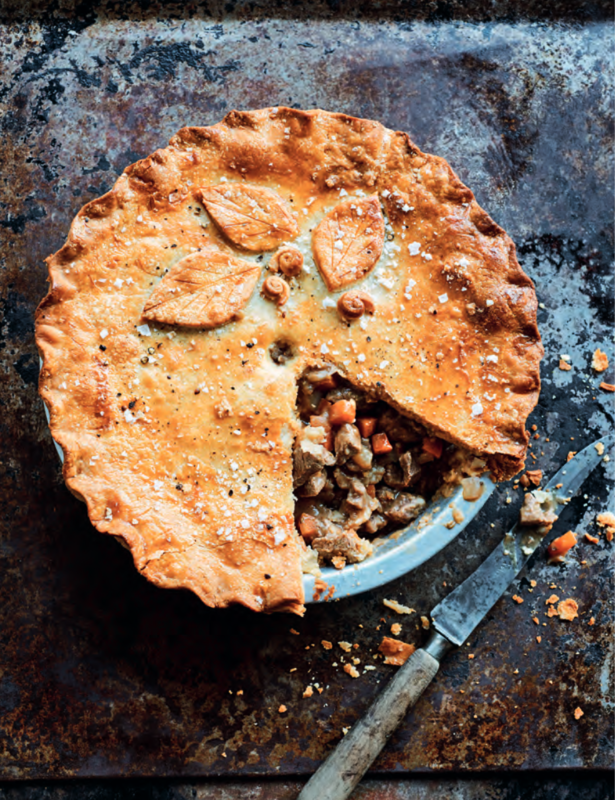 Award-winning Irish Chef and food writer Darina Allen shared a few of her favorite recipes. Planning to celebrate St. Patrick's Day with some green beer and a plate of corned beef and cabbage? That's fine, but Irish cuisine has so much more to offer. You won't find most people in Ireland eating corned beef and cabbage, according to award-winning Irish chef and food writer Darina Allen. In the 1960s, Allen was one of the first chefs in Ireland to start working in a farm-to-table restaurant that focused on fresh, natural foods. Allen's mother-in-law, Myrtle Allen, was widely credited with establishing a new modern era in Irish cuisine and improving the reputation of Irish food around the world by recognizing the value of traditional Irish food ingredients. The two worked together in the Ballymaloe House, which quickly became a world-famous restaurant. Now, Allen runs the Ballymaloe Cookery School in County Cork and has just come out with a new cookbook called "Simply Delicious: The Classic Collection." Allen spoke with NPR's Michel Martin about her pride and love of Irish cuisine, and shared a few recipes that we can all try this St. Patrick's Day: spring cabbage soup and dingle pie. We're so fortunate in Ireland. We're an island nation with a lot of fertile soil, long coastline, cold waters, so very good fish and shellfish. We can grow grass like nowhere else in the world. So basically our dairy products, you get our lovely Irish butter over here, and our beef and our lamb are fantastic quality. We're very famous for our breads as well, like our soda breads, which are made in just minutes. Everybody should be able to make a soda bread. It's no longer just corned beef and cabbage. There are lots of young chefs doing brilliant food. We're very proud of what's happening with our artisan producers, our cheese makers, people who smoke fish. Probably the most exciting thing that's happened to food in Ireland in the last 30 years now or 25 years has been the emergence of an art to some food sectors and specialist food producers. On traditional ingredients like carrageen moss or "Irish moss"
We have enormous number of seaweeds around our coast in Ireland — about 600. The seaweeds or sea vegetables are much more nutritious than anything grown on land. What we call "carrageen moss" and what you call I think "Irish moss" — it's just a lovely little tiny seaweed. Carrageen means "little rock" in Gaelic. After the spring tides, when the tides go furthest out, we harvest this little seaweed off the rocks around the coast, and then we bring it in and put it up on the grassy masses of spongy grass on the top of the cliffs, then leave it out and it's washed by the rain and bleached by the sun for about 10 days. It's an incredible food — we make this lovely pudding with this. When people hear "seaweed" they think, "Oh it's going to taste all of the sea." It doesn't. It's a lovely gentle flavor. All of my babies were weaned onto it as well. For some people, it is still in the folk memory and it might even be remembered as a famine food. But we've been eating it ever since I was a child and it's so much part of our traditional food culture in Ireland. Cooking is magic. I think everybody, in every house, there should be somebody who cooks, because it adds such a different dimension to all our lives. It's the way to everybody's heart isn't it? 1. In a heavy-bottom saucepan, melt the butter. When it foams, add the onions and potatoes and toss them in the butter until well coated. Sprinkle with salt and freshly ground pepper. Cover with a wax paper lid and the lid of the pan and let sweat over gentle heat until soft but not colored, about 10 minutes. 2. Add the boiling stock and boil until the potatoes are tender. 3. Add the cabbage and cook, uncovered, until the cabbage is just cooked, 4 to 5 minutes. Keep the lid off to preserve the bright green color. Do not overcook or the vegetables will lose both their fresh flavor and color. 4. Using a blender or food processor, blend the soup until smooth. Season to taste. 5. Add the cream or creamy milk before serving. Serve on its own or with a sprinkling of crumbled cured Spanish chorizo or gremolata over the top, if desired. VARIATION: For a vegetarian version, substitute vegetable stock for the chicken stock and use the gremolata instead of the crumbled chorizo to garnish. For a vegan option, use extra virgin olive oil instead of butter and omit the cream or creamy milk. 1. In a stock pot, combine the lamb bones, carrot, onion, celery, and bouquet garni. Cover with cold water and let simmer for 3 to 4 hours. 2. Trim all the surplus fat from the meat and reserve, then dice the meat into small, neat pieces about the size of a small sugar cube. In a hot, wide saucepan, render down the scraps of fat until the fat runs. Discard the remaining solid fat pieces. 3. Peel the onions and carrots, then cut into slightly smaller dice than the meat and toss in the fat. Let cook for 3 to 4 minutes. Remove the vegetables and toss the meat in the remaining fat over high heat until its color changes. 4. In a hot skillet, dry-roast the cumin for a few minutes. Using a pestle and mortar, crush the seeds lightly. Stir the flour and crushed cumin seeds into the meat and cook gently for 2 minutes. 5. Blend in the stock gradually and bring to a boil, stirring occasionally. Return the vegetables to the pan, season with salt and freshly ground pepper, and let simmer, covered until the meat is tender. If using young lamb, 30 minutes will be sufficient; mutton may take up to 1 hour. 6. Sift the flour and salt into a mixing bowl and make a hollow in the center. 7. In a saucepan, combine the butter and water and bring to a boil. Pour the liquid into the hollow all at once and mix together quickly; beat until smooth. 8. At first the dough will be too soft to handle, but as soon as it cools, roll out on a floured work surface about 1/8 to ¼ inch thick and use to line two 6-inch pie/tart pans, 1½ inches deep (or one 7-inch pie/tart pan to make one large pie). Keep back one-third of the dough for lids. 9. Fill the pastry shells with the meat mixture, which should be freshly cooked and slightly cooled. Brush the edges of the dough lightly with water and place the dough lids on top, pressing them tightly together. Roll out the dough scraps to make leaves or twirls to decorate the top of the pies; make a hole in the center. 10. Brush the lids with beaten egg and then the decoration also. 11. Bake the pies for about 40 minutes, until the crust is well browned. Serve with a salad of fresh seasonal greens. VARIATION: Puff pastry can be substituted for the hot water crust pie crust. This story was produced and edited for radio by Gemma Watters and Martha Wexler. NPR's Amanda Morris produced the story for digital.